World Edit is a wide set of tools that was originally developed for Minecraft PC, and then it was ported to MCPE. Map-makers often use this mod as it several times simplifies the creation of structures and speeds up work with any world. You can just in a few seconds turn the selected area into anything or remove a certain territory. *changed: Refactored modTick - replaced multiple Dir()s with a loop. +added: multi-level Undo & Redo, at the individual block level. +added: Tick Callback to spread long-running tasks over multiple game ticks for tasks with progress messages. 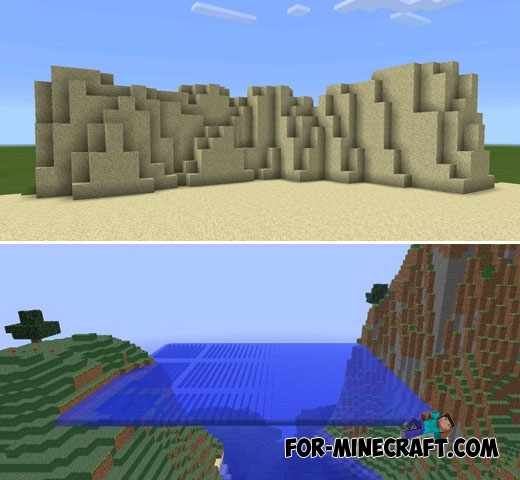 How to install the Bedrock World Edit Mod?